Would you make a good cytogenetic technologist? Take our career test to find out how you match with this and over 800 other careers. What is a Cytogenetic Technologist? What is the workplace of a Cytogenetic Technologist like? Cytogenetics is the study of the cell's genetic material, in particular the structure and arrangement of DNA molecules and genes. A cytogenetic technologist is someone who prepares, examines, and analyzes chromosomes found in blood, amniotic fluids, and bone marrow in order to diagnose and treat genetic diseases and disorders. 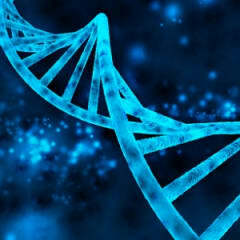 The work can vary with anything from congenital birth defects, fertility problems and hematological disorders, to locating the genetic influence for a potentially developing disease in an adult. Some congenital diseases are related to an abnormality in the number of chromosomes, while others result from missing parts of certain chromosomes. Working with microscopes and other medical imaging tools, cytogenetic technologists track and analyze samples of bodily fluids, blood, tissue, chromosomes cells and other genetic matter. They use various techniques to analyze patients' chromosomal structures, such as karyotyping, florescence in situ hybridization (FISH), and other techniques. Are you suited to be a cytogenetic technologist? Cytogenetic technologists have distinct personalities. They tend to be investigative individuals, which means they’re intellectual, introspective, and inquisitive. They are curious, methodical, rational, analytical, and logical. Some of them are also conventional, meaning they’re conscientious and conservative. Does this sound like you? Take our free career test to find out if becoming a cytogenetic technologist is right for you. 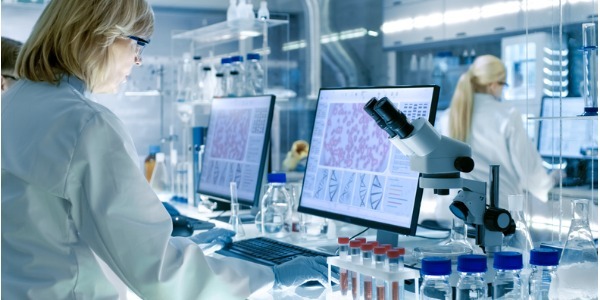 Cytogenetic technologists can find work in hospitals, clinics, private laboratories, research laboratories, educational institutions, public health facilities, and government facilities. They are often seated for long periods of time while they perform their duties.